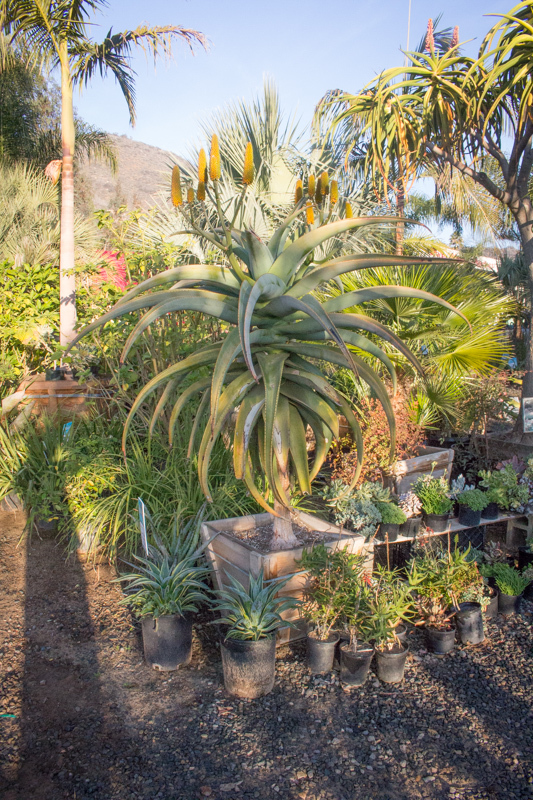 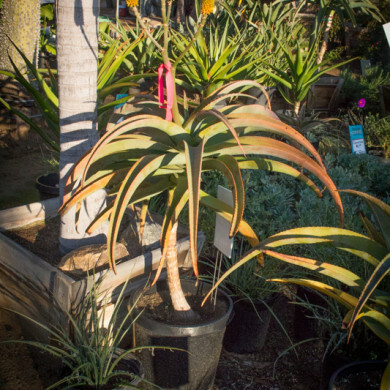 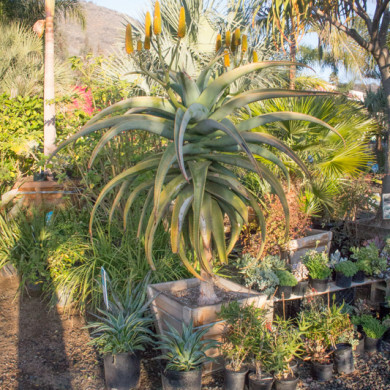 Aloe thraskii is a tree like aloe that grows on a single stem unbranched to a height of 12′. 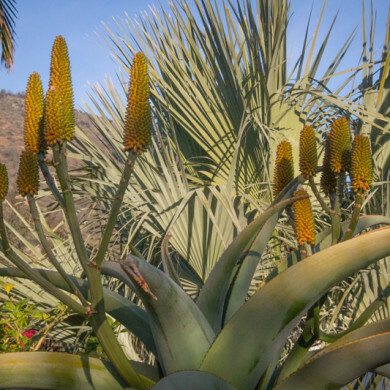 This aloe is native to South Africa along the east coast where it grows along the sand dunes. 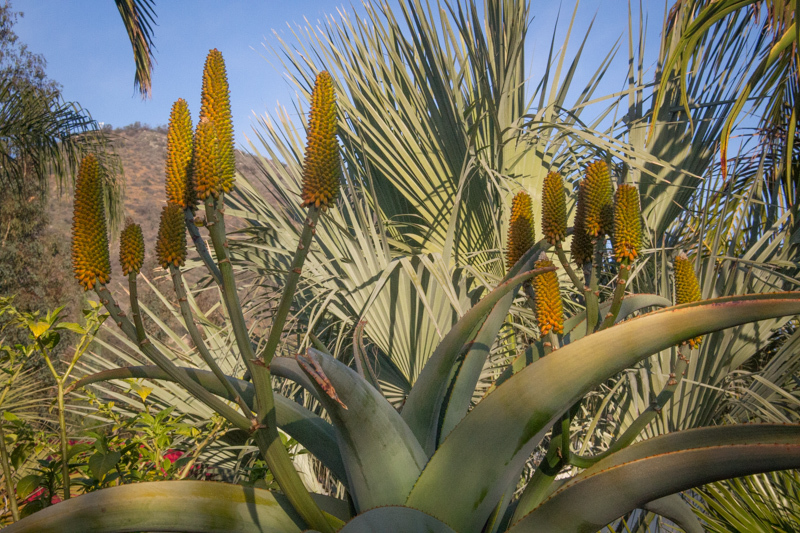 It is cold hardy to 28°F. 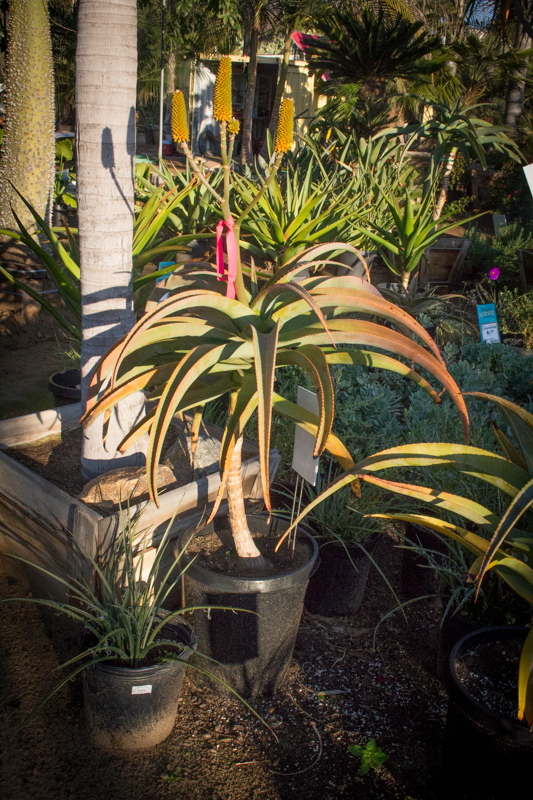 Aloe thraskii is a winter bloomer with yellow and orange blooms on a 2’-3’ stem.